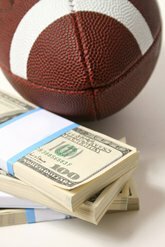 My weekly blog special the “Smart Money Report” Week 7 edition is here to help you guys out. Make sure to check here every Thursday during NFL season as I utilize all my sharps aka professional bettor contacts, Las Vegas Oddsmaker contacts, and NYC bookies to give you the info on what’s happening behind the counter in the NFL betting marketplace with every game on the board. I always preach to pay attention to opening numbers. If you want to win like as sharp you have to think like a sharp I always say. Remember sharps aka professional bettors bet early in the week into opening numbers to get themselves the best value possible. Remember squares aka the general betting public usually wait to place their bets until gameday before kick off. So any early moves you see during the beginning of the week is sharp money. It’s important to realize that every early sharp move isn’t them holding on to that position. Sometimes it’s head fake money which is sharps moving a line in order to get a more favorable number on game day betting the other side. My Vegas guy opened this at 2.5 and a little push put the Chiefs at -3 here. He did note 75% of his ticket count is on the Chiefs here. As far as the total he said it’s two way sharp action. Some guys are Under 47 and when it dropped he got hit with opposing sharp money on the Over 45 moving him back to 46.5. It’s all public money on the Titans here that moved my guy from 5.5 to 6 as we go to press. He did say there was an Under move at 46.5 which pushed this down to 45. He did note at 45 some Over cash came in bumping him up half of a tick to 45.5. He said if sharps don’t come in on the Browns he will need Cleveland. Heavy public action on Jacksonville here moved my guy from 3 to 3.5. He said no sharp involvement yet on this one. He said if sharps don’t come in here he will be rooting for the Colts. A little interest in the Bengals here at +6 dropping my Sin City Oddsmaker source to 5.5. He said the Total is split with some sharps betting Over 41 and others betting Under once he hit 42. Nothing on the side to report but some interest on the Under moved this line from 40 down to 39 with sharp money. Sharps hit the Dolphins at -3 here moving my guy to 3.5. He said at 3.5 all has been quiet since. No line time of blog. Sharps like the Bears here taking them at +3.5 my guy said moving this down to 3 as we go to press. Sharps like the Packers here moving this from 5.5 down to 4.5 as we go to press. Sharps like the Cardinals here a bit taking them at +3.5 moving this down to 3. He also noted a little Under money came in moving him from 47 down a half of tick to 46.5. Nothing on the side to report but some sharp interest on the Under moved him down a half of tick from 47 to 46.5. Sharps like the Giants at +6 here moving this down to 5.5. He also noted sharps like the Over here betting him up to 40 form a 38.5 opener. Sharps hit my guy on the Over here moving him from 54.5 and up to 55.5. He said the public is all on the Over here and he likely will be rooting for the Under. Nothing to report on the Monday Night game. Sometimes I agree with these early moves and sometimes I don’t. One thing I can say in my opinion has been a strong one. It’s good to have a guy like me and the rest of the handicappers here at We Cover Spreads by your side come Sunday. The rest of the crew is ready to go this season in NFL! Hop on board with us this week as we look to exploit the marketplace.You can pick up my plays and the rest of the cappers right here on the site.